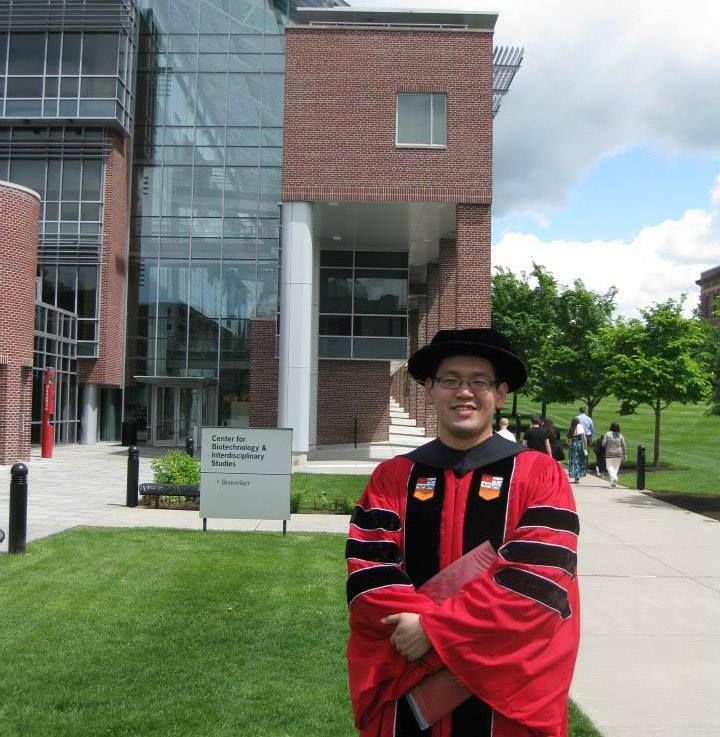 It’s been two years since I’ve graduated with my PhD from Rensselaer Polytechnic Institute (RPI) in Troy, NY. When I graduated with my bachelors from the University of British Columbia, I wrote a little guide to the university just for fun, now I’m finally going to do the same for RPI. I enjoyed my four years as a graduate student. It was a very different experience than my undergrad due to the difference between the schools, between the cities they are located in, and the fact that I was a grad student instead of a naive undergrad. Like my “guide” to UBC, this post has some general info on RPI, but it’s mostly focused on things that I found relevant, interesting or fun during my time there. More information can be found in RPI’s website, Wikipedia, and the other links contained in this post. That’s right. After 21 years through the formal education system (not counting kindergarten), I have received my PhD degree in electrical engineering. I received my degree from Rensselaer Polytechnic Institute located in Troy, New York, USA. I’ve spent the better part of four years at RPI working on power systems research, and also got my Master degree from here. I put considerable effort and hard work into earning my PhD, and the last semester had been somewhat hectic with me trying to finish on time. But I did it. I prevailed, and this closes another chapter of my life. I consider myself fortunate to have met my adviser, who is probably the nicest research adviser a grad student can hope for, and also good colleagues and friends through my time at RPI. Of course, I have to thank my family for their love and support as well. The commencement ceremony I attended for my PhD may mark the last time I’m recognized as a student, but we all know learning is a life-long process, and I’ll strive to learn and apply my knowledge to something beneficial and worthwhile in my career. I’m still looking for a job, but things are looking better now that I have more time to focus on the job search. Hopefully I’ll have some good news to share soon. Other than the job search, I’ll also be taking some vacation time to travel around, as this summer may be the last extended vacation I’ll have for a while.